This study, in 2007, was conducted solely for the sake of trying to understand what if any role the members or former members of the Primitive Baptist Church, may have played in the Mormon conflict. The first church of any denomination in Hancock County, Illinois, was called Middle Creek Regular (Primitive) Baptist Church; it was organized in August 1832, in the southeast corner of Carthage township. The second Primitive Baptist Church was near Green Plains, in Walker township, and was called New Harmony; it was organized first as an arm of New Providence Church near Ursa, in Adams County, in November 1834, then officially as a separate church in June 1835. A third Primitive Baptist Church, called Providence, in St. Marys township, was organized later the same year, in September 1835. A fourth Primitive Baptist church, called Bethany, was organized in June 1839, in the Fountain Green area. These four Primitive Baptist churches (as well as Catholic, Christian, Methodist, Presbyterian, and perhaps a few other denominations) existed in the county by the time the Mormons began fleeing from Missouri (and from the Missouri law) in large numbers and coming to Quincy, in Adams county, Illinois, and from there to Nauvoo, in Hancock County, which was laid out for their settlement in September 1839. Click here to read Judge Joseph Thorp's eye-witness account of the Mormon trouble in western Missouri. "The first to locate in this township (Walker) were Colonel Williams, Duchman Shook, George Walker, and Enoch Hankens. The first school house was built of logs in 1838, on section 8. John N. Hopkins was the first teacher. The first church was built of logs on section 18, by the Baptists. Meetings were held previous to this in school houses and groves. George Walker was the first regular minister in the township. The first couple married were Joseph Pettit and Nancy Martin. The first child was born in 1835, James E. Walker, son of George Walker. The death of Miss Emily Ham was the first; George Walker took some walnut boards out of a partition in his house to make the coffin. The first election was held at the house of Colonel Williams. The township was named after George Walker, one of the first settlers. It is nearly all heavy timber, and but little level land. It is watered by Bear Creek and its tributaries." In March 1834 George Walker purchased the SW 1/4 of Sec. 8 in what is now called Walker Township. That November, George Walker and his wife Rachel, formerly of Campbell County, Kentucky, joined New Providence Church, near Ursa, by letter, and at the same time requested an arm to be extended to allow them to hold meetings on "the prarrie" near their log home, which was granted. Meetings were held, and as a result, New Harmony Church was formally organized at the home of George Walker, on the 4th Saturday in June 1835 (according to the records of New Providence Church*). Elders Joel G. Williams and John Harvey from New Providence Church were appointed to sit in the council. Elders Thomas H. Owen and William Bradley, from Middle Creek Church, probably also sat in the council. Elder George Walker was ordained in May 1837, and about this time he built a log meeting house on his own land, with dimensions of about 24 by 30 feet. New Harmony Church first united with the Spoon River Association in September 1835, at which time the church reported seven members; the next month, it went into the constitution of the Salem Association, at which time a total of nine members was reported. The church enjoyed a measure of prosperity in its early history; 27 members were received by baptism in the year 1840, and two ministers were ordained about this time. The church reported 60 members by the fall of 1843. Elders George Walker, Isaiah Guymon, and David Layman served this church as pastor at various times during its existence. Elder A. P. Tanneyhill left the Separate Baptists and joined this church in about 1850. The Association minutes also show an Elder J. Walker as a messenger from this church in 1860. "The Baptist Church and burial ground" are mentioned in an 1857 deed from George and Rachel Walker to Frederick Vandergriff, selling the surrounding land. The site is now known as the Walker Cemetery. The Walker Cemetery was given to Hancock County in 1895, and is now under the care of Walker township. Burials were probably made in the late 1830's, or earlier. Some of the earliest burials in the township may have been here. We have begun some restoration work, searching for tombstones which have sunk underground in the old part of the cemetery, and hoping to learn the exact location of the log church on the south end of the one-acre tract. The 1840 Minutes of Salem Association describe the location of New Harmony Church as being eight miles southeast of Warsaw in the Walker Settlement. The Walker Cemetery is about 2 miles south and 1 mile east of the recent Historical Marker dedicated at the Green Plains corner (on U. S. Rt. 96), or about 3 miles south and 1 mile west of Sutter, Illinois. Upon arriving in the county, Elder George Walker first built a log home. Later it was replaced with a brick home, where he entertained fellow legislators Abraham Lincoln and Stephen A. Douglas. We think his home would have been just across the field northeast from New Harmony Church and the Walker cemetery. Sources of documentation: Deed records at Hancock County Courthouse; Manuscript records of Salem Regular Baptist Association, 1835-1860; telephone interview with Mr. Glenn Wright, Arrowsmith, Illinois; Personal interview with Bob Wright, Sutter, Illinois; Wilma Brunenn's Pioneers of the Prairie; 1968 Hancock County History; Burial lists of the Walker Cemetery. Our restoration work has resulted in locating underground the stone of John W. Clark (1818-1850), a member of the Farmers Guard militia company. During the 35 years this church existed, there were over 50 baptisms, and over 45 members received by letter. A complete list of names of members cannot be compiled without finding the New Harmony church records, but some of the names of the members of this church appear in the Minutes of Salem Association. The minutes of Salem Association of Regular Baptists are in existence from their inception, in October 1835, and New Harmony Church was one of the original member churches. The Salem Association minutes, which were published annually, and recorded in manuscript form in a record book, provide documentary proof of the names of about 35 of the leading members of New Harmony Church. Among them are some of the earliest and most prominent settlers in this part of the county. The names of male members which we can document include: John Walker, George Walker, Eli Walker, Robeson Gillham, G. J. Baker, J. B. Couch, Zachariah Barnett, Curtis Caldwell, Pleasant P. Glenn, Isaiah Guymon, David Layman, Hampton Loftis, John Martin, William McCrady, Reubin Shepherd, A. P. Tanneyhill, Isaac Vinson, Hiram Woodworth, and Colonel Levi Williams. Sources of documentation: Manuscript (and printed) records of Salem Regular Baptist Association of Illinois, 1835-1870. Governor Thomas Ford's "A History of Illinois," speaks at some length of preachers of the gospel at about the time Illinois became a state: "Preachers of the gospel frequently sprung up from the body of the people at home, without previous training except in religious exercises and in the study of the Holy Scriptures. In those primitive times it was not thought to be necessary that a teacher of religion should be a scholar. It was thought to be his business to preach from a knowledge of the Scriptures alone, to make appeals warm from the heart . . . ." "Sometimes their sermons turned upon matters of controversy; unlearned arguments on the subject of free grace, baptism, free will, election, faith, good works, justification, sanctification, and the final perseverance of the saints. But that in which they excelled was the earnestness of their words and manner, leaving no doubt of the strongest conviction in their own minds . . . But above all they continually inculcated the great principles of justice and sound morality." ". . . these first preachers were of incalculable benefit to the country . . . . They were truly patriotic also; for at a time when the country was so poor that no other kind of ministry could have been maintained in it, they preached without charge to the people, working week days to aid the scanty charities of their flocks in furnishing themselves with a scantier living." Of a period a decade or more later, he writes: "About the year 1820 and perhaps a little before, one or two educated ministers of the gospel removed to this State . . . . By the year 1830 quite a number of them had come in from other States. They were either sent or encouraged to come by the missionary societies at the North and East; and . . . they immediately began to make active efforts to get up Bible societies, tract societies, missionary societies, and Sunday schools in Illinois. For a long time they were looked upon with jealousy and bad feeling by some of the old race of uneducated preachers. These last had been the pioneers of the gospel at a time when educated ministers with salaries could not have been supported. They had preached the doctrine of a free salvation, truly and literally without money and without price. At their own expense they had traversed the wilderness, slept in the open air, swam rivers, suffered cold and hunger, travelled on horseback and on foot to preach the gospel and establish churches. They were now about to be superseded, as some of them feared, and thrown aside for nice, well-dressed young men from college, whom they stigmatized as having no religion in their hearts and with knowing nothing about it except what they had learned at school." Suffice it to say, that the Regular Baptists, including the ministers of New Harmony Church, were of this "old race" of pioneer ministers, and there can be no doubt the Governor was writing about the old order of Baptists, as they were the first church organized in most areas, and most of what he wrote does not fit any other people. However, they were not "uneducated," or "unlearned," but rather "self-educated" and "self-taught," and they were just as intelligent as those who had more opportunities. Sources of documentation: A History of Illinois, 1818-1847, by Governor Thomas Ford, pp. 21, 22, 60. As stated above, by late 1839, when the Mormons had begun coming to Hancock County from Missouri in great numbers, there were already four Primitive Baptist churches in the county. New Harmony Church, by reason of its location (lying between Quincy and Nauvoo), was affected more than the other churches by the troubles which ensued. The other three churches were on the eastern side of the county. A respected history of Hancock County by Thomas Gregg (1808-1892), published in 1880, includes a chapter regarding the Mormons and their eventual expulsion from the county. Thomas Gregg also wrote a more exhaustive history of Mormonism, called The Prophet of Palmyra, which was published in 1890. According to Thomas Gregg's History of Hancock County, several parties of thought developed among the county's inhabitants between 1839 and 1846. First, Mormons; second, "Jack"-Mormons; third, Anti-Mormons who opposed violence; and fourth, Anti-Mormons who were willing to use force if necessary to defend what they deemed to be their rights as free men and American citizens. The early pioneer settlers of the county were only a generation removed from the American Revolution. They understood the sacrifices of freedom, as many of them had participated in the War of 1812 and the Blackhawk War. They were men of honor, dignity and patriotism. The Mormons had not been among them long, until they found themselves in the unenviable position of having to try to enforce the law when the local constable and other local officials, could or would not (the Mormons being in the majority elected persons sympathetic to themselves). They sought help from the Governor, but found that he flip-flopped, and could not be trusted to enforce the law against the Mormon leaders, in spite of all the charges against them. In fact, Governor Ford's History of Illinois reveals that he had a secret plan to allow the Smith's to escape, hoping the Mormons would all leave with them, and not dare to return. Judge Joseph Thorp's eye-witness account of early days in Missouri (see the link to that document above) explains what the Mormons said and did, in Ohio, in several counties in Missouri, and finally in Hancock County, Illinois, that caused the citizens to turn so strongly against them, so we will not repeat it again here. In a letter to the editor of the Hancock County Journal-Pilot, dated July 5, 1989, Junior Dittmer, now deceased (a deacon in Smyrna Primitive Baptist Church in Hancock County), wrote: "There is practically no evidence of people in the Midwest objecting to the LDS religious beliefs, other than polygamy**. Cries of religious persecution are designed to make it appear Joseph Smith was a martyr rather than a vile sinner who pushed his luck too far in a frontier community. There is abundant evidence that Joseph Smith was immoral, corrupt and an imposter, as were some of the high council in his day. Smith, many believed, used the unpublished religious novel "Manuscript Found" written by Rev. Solomon Spaulding as a basis for the "Book of Mormon" which set Mormonism into motion and has caused great confusion and suffering among his followers for several generations. Consider Rev. 22:18 and Numbers 14:18." As this writer states, there is abundant evidence that Joseph Smith was immoral, corrupt, and an imposter. The actions of the militia members in Hancock County were virtually a last resort to defend and rid themselves and the citizens of the county of a man who had managed to escape punishment many times, by setting himself up as Lieutenant General of the Nauvoo Legion, Chief Justice of the mock Court at Nauvoo, Mayor of Nauvoo, Founder, Prophet and President of his "church," and Candidate for the Presidency of the United States. The personalities of the original conflict are long since departed from this life, and the citizens of Hancock County today are trying to live at peace with the Mormons who have returned to live here. Strong sentiment against Mormonism (not the people themselves) still remains in Hancock County, and surrounding areas. In April 2004, when the Illinois legislature passed a resolution of apology or regret to the Mormons, some citizens wrote letters to their legislators, expressing disapproval of the politically-motivated action. Preferential or special treatment of the Mormons by our elected officials was wrong in 1844, and is still wrong. Click here to read a 1912 account from the New York Times, regarding the fraud of Mormon Founder Joseph Smith. Elder Thomas H. Owen, a member of Middle Creek Church, was known (by the Anti-Mormons) as a "Jack-Mormon." He was elected to the state legislature, from Hancock County, in 1842, with support of the Mormon vote, and his influence in the legislature successfully prevented the Nauvoo Charter being revoked at that time. It is believed that he and his sons were present in Carthage on June 27, 1844, but only as observers, and not as part of the militia. Considered an impartial, fair and just man, he was appointed as one of the two elisors, in the trial of those accused of killing Mormon founder Joseph Smith. 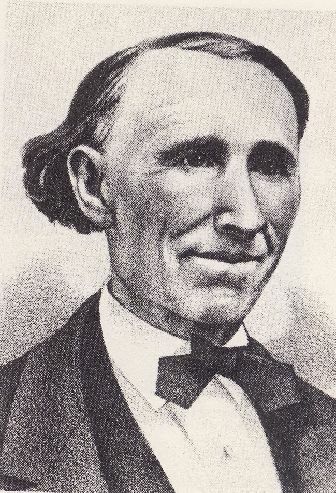 Elder Owen served as moderator of the Salem Association meeting held at New Harmony Church in September 1847, but about that time he moved to near Nauvoo, and then left the county for California, in the summer of 1849. His writings show that he opposed Mormonism, but also opposed the actions of what he called the "mobocrats" (a term which was sometimes applied to both Mormons and Anti-Mormons). Elder Owen's defense of the rights and freedoms of all citizens in matters of religion and conscience was the principle held by all Regular Baptists. Elder Owen endeavored to be fair to all; and some whom he labored to defend may have been unworthy of his help, but he still did what he felt was right. The Nauvoo Charter was finally revoked by the state legislature early in 1845. In 1839, Colonel Levi Williams had become the Commander of several Companies of the Illinois Militia, 59th Regiment, Fourth Brigade, Fifth Division, in western Hancock County. There were over four hundred men, including officers, in nine Companies under his command, late in June 1844, when Governor Ford called them up, for the purpose of assisting in the arrest of Joseph Smith. (The Nauvoo Legion under "General" Joseph Smith was much larger - estimated at 3,000 to 4,000 men or more - one source says it was one-fourth the size of the United States Army.) Colonel Williams was a courageous leader, whom the Mormons at Nauvoo, including Joseph Smith, feared, as shown in a letter written by Joseph Smith to the Governor, and by the manner of their dealings with John C. Elliott. They knew that Colonel Williams and his militia forces would deliver them back to Missouri, where they were wanted for capital offenses, if they could. As the highest ranking officer, Colonel Levi Williams was named first in the list of defendants, in the Trial of the persons indicted for "murder" of Joseph Smith. Col. Williams and four other defendants were tried at Carthage in May 1845, and found "NOT GUILTY" by a jury. It should be remembered that Colonel Levi Williams was in a position of military authority to defend the residents of Hancock County, and to enforce the state law, which could not be enforced any other way - the Mormons had control locally, and the Governor refused to call in state forces to do so. No wonder the Warsaw militia companies felt they were being "trifled with" by the Governor of Illinois. They had been ordered into service, on June 17th, ordered to go to Golden's Point on June 27th to join with other forces; then suddenly the Governor sent orders for them to return home, while he devised a secret plan to allow the prisoners at Carthage to escape. Elder George Walker was an early settler, who served in many county offices. He was elected to the State Legislature from Hancock county, in 1848 and 1854. He was a charter member of New Harmony Church, and a man of deep religious convictions. He was in the Warsaw militia (Green Plains Minute Men), but returned home from the "Railroad Shanties" and was not in Carthage, on that eventful day in June 1844. He was one of seventeen witnesses who appeared before the Grand Jury, in October 1844, and also testified during the trial. Mormons who were forced to leave the Green Plains area left written testimonies of his kindness and generosity to them. In spite of Mormon depredations (thefts), and the fact that the Mormons made up the majority of the population of the county, and although they had sufficient funds to build a Temple (while Elder Walker had a log church), many of their people were destitute, and Elder Walker helped those who came to him seeking aid. Members of New Harmony Church who were in one of the Companies of the 59th Regiment included: Isaac Vinson, Robertson Gillham, Robert Gillham, Eli D. Walker, Zachariah Barnett, Hiram Woodworth, J. B. Couch, John Martin, George Walker, and Hampton Loftis. Also, some of the Caldwell, Barnett, Califf, and Clark families (descendants of the family patriarch, John Walker; but we cannot prove they were members of the church, due to loss of the records). Members of other Primitive Baptist churches in Hancock County who appear in the muster rolls of companies under Colonel Williams, included Captain John R. Atherton, John Riley, and Amzi Doolittle, of the Appanoose Company. "On Tuesday morning the 16th of September 1845, Franklin A. Worrell, a merchant of Carthage and a Lieutenant in the company of Carthage Greys, started from Carthage, with eight or ten other citizens of Carthage, intending to visit Warsaw and the Camp of the burners, in order to inform themselves of the real state of affairs. Mr. Worrell, with three or four others, was on horseback, with their guns strapped over their shoulders, while the remainder of the Company rode in wagons. They had reached a distance of about ten miles, when the horsemen, being a mile or more ahead of the wagons, saw a man at some considerable distance, in a buggy, driving at a rapid rate, northwardly on the Nauvoo road, and crossing their route. Not knowing the cause for such haste, and believing that it was some one through fear endeavoring to avoid them, or some one from the camp of the burners with news, they immediately left the road and started in pursuit. Being on horseback, while the stranger was in a buggy, they gained on him; and on arriving near the Railroad Shantees, they perceived that there were men in the bushes. A moment before the firing, Mr. Worrell exclaimed - "It is Backenstos!" Backenstos (for it was he) was then some distance off, in the bottom of the ravine, and his men were nearer, on the roadside in the bushes. On observing the fire, one of the party exclaimed, "There is a shot from the bushes!" "Yes," said Mr. Worrell," and I have got it!" They then attempted to ride away, but had not proceeded more than a few paces when the wounded man slid from his horse to the ground. One of the party now rode forward and beckoned to their companions in the wagons. On arriving at the place, Mr. Worrell was taken up into the wagon, and supported by his friends until he breathed his last, which he did in about half an hour in great bodily pain. His remains were carried to Warsaw, where he was interred the next day. Backenstos acted as if he had not ordered the shooting, but according to Thomas L. Barnes, a young physician in Carthage, he admitted that "he had it done." Because of this comment, Backenstos was later arrested for the murder of Worrell. But the Mormons whom Backenstos called for his defense refuted Barnes' testimony, and the sheriff was released. The party who were in company with Mr. Worrell saw quite a number of men in the bushes, not far off, and on the opposite side of the ravine, at the Shantee, were a number of wagons and horses, as if in encampment. They were a posse of Mormons whom the Sheriff had lying in ambush, it is thought, for the purpose of intercepting those who might be passing between Carthage and Warsaw, in order to gain intelligence on the movements of the Anti-Mormons." - Cultures in Conflict, by John E. Hallwas and Roger D. Launius, c. 1995, pp. 276, 277. A list of the officers and privates under my command ordered out into service the 17th day of June 1844, in Hancock County, State of Illinois, in the company of the Farmers Guards in the 4th brigade and 5th division and fifty-ninth Regiment of Illinois Militia, by order of Brigadier General Deming and approved by Thomas Ford, Governor, and summoned by David Butterworth [sic - Bettisworth], constable of said County, to assist in the arrest of Joseph Smith and others, and was discharged June the 27th, 1844, by order of the Governor of the State aforesaid. - Colonel Levi Williams. Farmers Guards: Richard Barnett (1st Lieut. ), John Harris (2nd Lieut. ), John Slattery (3rd Lieut. ), John R. Williams (1st Sergeant), John Crawford (2nd Sergeant), David Headly (3rd Sergeant), Thomas Knox (4th Sergeant), Madison Stockton (1st Corporal), John W. Clark (2nd Corporal), Hampton R. Stockton (3rd Corporal), Harrison Crawford (4th Corporal), Privates: John T. Carnes, William D. Knox, Carey Headley, Rice C. Williams, William L. Black, William Vorhies, Frances M. House, Lewis Nickleson, William Goodwin, Alexander Goodwin, Jacob Ankrom, John Goodwin, Melton W. Knox, Sylvester Hopson, Charles Hopson, William Denny, George W. Clark, Rodney Hickman, Thomas Marston, William Crawford, William Yanewine, William Doughty, Augustus Black, William Ayres, G. Broadway, Richard B. Taylor, Septimus Goodwin, Thomas Taylor, John Gillham, Robertson Gillham, James Doughty, George Wallace, George Carnes, H. J. Benton, Nelson Leopole, Lyman Calkin, Luther Headley, Rodolphus Chandler, Robert Gillham, Jeremiah Bentley, Gilbert R. Parsons, Henry C. Williams, Eli D. Walker, Andrew McMahan, William Taylor, Abraham Hatchett, Pliny Hatchett, Joseph W. Harris, Samuel Knox, Benjamin Collins, Benjamin Hopson, James S. Agard, Zachariah Barnett, Jamison A. Ankrom, William Slattery, Francis Kerns, Theodore E. Dickerson, Melton Whips. Green Plains Minute Men: Charles C. Stevens (1st Lieut. ), John Banks (2nd Lieut. ), Obadiah S. Freeman (3rd Lieut. ), Thomas D. Crumpton (1st Sergeant), Philip Ensmingher (2nd Sergeant), James Carmine (3rd Sergeant), Adam Snyder (1st Corporal), Samuel Holmes (2nd Corporal), Luther Perry (3rd Corporal), William Exon (Driver), O. S. Freeman (Driver), David Ayres (Driver), Privates: Joseph Barber, John C. Thompson, John Morrison, Daniel Clark, Samuel Large, William H. Black, Samuel Ray, David Gibson, Adam McDaniel, Jehue Walls, Henry Nickols, Franklin Farmer, Abraham C. Clark, Joseph Caldwell, Joseph Lambert, Meredith Perry, Joel Weston, John White, James H. Ward, Joseph Tilburn, George Morrison, John Truman, Stephen Roach, Philip Leper, Michael Andrews, Purnel Lewis, George Shafer, George C. Baker, Oliver P. Baker, Lyman Wails, Theophilus Crenshaw, Isaac Wilson, Paschal Crenshaw, John Crenshaw, Thomas Hopper, John Caldwell, Dempsey Caldwell, Benjamin Nelson, Aaron Vanwinkle, John Large, John McElroy, Noah Caldwell, George Walker, Matthew Caldwell, William Guyman, Hampton Loftice. Appanoose Company: Joseph Tull (1st Lieut. ), Samuel M. Hamilton (2nd Lieut. ), Joseph Agnew (1st Sergeant), John R. Tull (2nd Sergeant), William Rose (3rd Sergeant), Isaac Willsey (4th Sergeant), Peter Willsey (1st Corporal), Byard Laton (2nd Corporal), William Tull (4th Corporal), Privates: Jeremiah Hall, Robert Atherton, John Lake, Henry Williams, James Bennum, William M. Pratt, John Cooper, Griffin Cooper, Jonathan Lamine, L. A. Stephenson, John Martin, Amzi Doolittle, Samuel Brown, Reuben Tull, John Garner, David Garvin, Amos Perry, James Gray, Berryman Jennings, C. G. Vanburn, John McClure, Andrew Gregg, Samuel Rose, Benanual Hoag, Wesley M. Thomas, Samuel Knapp, W. H. Rollison, George Myers, William Loomis, Zephaniah Tyson, John Vantassel, James Griffith, Egbert Goodwin, John Riley, Zeddie Hoag, Edward Langford, Henry Daily, Lewis Nealey, Henry Marr, P. A. Goodwin, Samuel Marten, Patrick Gillmore, George Nallis, James Gillmore, John Gurrell, Flan Sheridan, James Sheridan, John Sheridan, Henry Cooley, John C. Tull, Isaac Seatt, Charles Yarbrough. Camp Creek Independent Company: John E. Caldwell (Lieut. ), James McLaughlin (Lieut. ), Loving Hastings (Lieut. ), James Spillman (Lieut. ), William Nixon (Sergeant), Ben Logan (Sergeant), John Hobrick (Musician), Albert Logan (Musician), Thomas Leap (Corporal), Joseph Hardy (Corporal), Privates: Edward Graham, Thomas Weathered, William Logan, James Graham, Thomas Stephens, Jesse Winiss, C. D. Harver, Lyman Harkness, Warren L. Davis, James Adams, Oran Agnew, William Landis, William Godard, William Myers, James Buchanan, James Porter, William Tinsley, N. M. Hawthorn, Richard Welsh, John J. Thompson, Joseph Agnew, Edward McNall, William H. Logan, John Welch, Theodore Nixon, Milton Atherton, Benjamin Graham, Enoch A. Logan, Washington Graham, John Maguire, Oliver Avery, Samuel Logan, Daniel Austerberry, John Avis, Thomas Wells, Jonathan Logan, Joseph Atherton, John Graham, Michael Hilterbrand, Henry Avery, Simeon Avery, John Glines, Thomas Fielding, William Baldwin, Hiram Graham, Edward Davis, Thomas Hunter, Dennis Quick, John Papsmore, John Alexander, James D. Logan, Owen Mendenhall, W. W. McGlassen, Hanson Higgins, William Masacre, Larry Alexander, Samuel Simmons, Samuel Myers, John W. Part, Bassel Viney, John Logan, James Green. Lima Guards: James Colvin (1st Lieut. ), Harrison Archer (2nd Lieut. ), Henry Newton (3rd Lieut. ), John Hill (1st Sergeant), Sampson M. Archer (2nd Sergeant), James Mercer (Surgeon), Isaac Vinson (1st Corporal), Benjamin G. Pollard (2nd Corporal), William C. Wilson (Driver of Baggage wagon), James Wood (Driver of Baggage Wagon), Privates: Davis Hill, Jesse Workman, James Greenstreet, Isaac Strickland, James P. Archer, David Potter, Thomas G. Hill, James Kirby, John Califf, Joshua Vance, Thomas Taylor, Thomas Taylor Jr., Martin Taylor, David Taylor, Henry Schull, Peter Orr, David Riley, Carey Philips, James Goodwin, William T. Dazy, Hamilton Howard, William Peyton, Charles McMinis, George Stuart, Brice Stuart, John Pearson, Mitchell Dazy, William Shaw, Jason Strickland. John McCauley (Lieut. Col.), Tarlton E. Fox (Major), Thomas Crawford (Adjutant), John E. Johnston (Quarter Master), Edson Whitney (Pay Master), Charles Hay (Surgeon), John Musselman (Commissary), John Crawford (Quarter Master Sergeant). Henry Stephens (Adjutant), Edward A. Bedell (Quarter Master), James M. Charles (Pay Master). Farmers Guard of Independent Rifle Company, Warsaw Independent Battalion. Captain George W. Pollard, James Colvin (1st Lieut. ), Harrison Archer (2nd Lieut. ), Henry Newton (3rd Lieut. ), John Hill (1st Sergeant), S. M. Archer (2nd Sergeant), James Mercer (3rd Sergeant), Isaac Vincent (1st Corporal), B. G. Pollard (2nd Corporal), Privates: Davis Hill, Jesse Workman, James Greenstreet, Isaac Strickland, James P. Archer, David Potter, Thomas J. Hill, James Kirby, John Califf, Josiah Vance, Thomas Taylor, Thomas Taylor Jr., Martin Taylor, David Taylor, Henry Schull, Peter Orr, David Riley, Carey Phillips, James Gooden, W. J. Dazy, Hamilton Howard, William Peyton, Charles Maines, George Stuart, Brice Stuart, John Pearson, Michael Dazy, William Shaw, Jason Strickland. Warsaw Cadets: Samuel M. Brown (1st Lieut. ), John Lawton (2nd Lieut. ), James Chittenden (3rd Lieut. ), Robert Miller (1st Sergeant), Alexander Mere (2nd Sergeant), William Ayres (3rd Sergeant), M. Logan (4th Sergeant), William Moore (1st Corporal), William W. Chittenden (2nd Corporal), Amos Thatcher (3rd Corporal), Jarvis Aldrich (4th Corporal), Privates: James H. Caruthers, Felix Williams, William Godfrey, William Ayres Jr., John Compton, Joseph Hardacre, Isaac Tiffey, Reuben Snively, John Burton, William Y. Head, German Andrews, George W. Hendricks, I. I. W. Hinchman, Luke H. Seely, James Demeris, Wilson Mundy, Isham Cochran, Thomas Wheelan, Christopher Stephens, W. C. Sprague, David Webb, George Leach, William H. Easton, John Thorp, Fisher Henbeck, Michael C. Ware, Nathan N. Allen, Andrew J. Eby, Perry E. Sprague, Eli Hilton, John Baker, Patrick Culleny, R. Worster, George Mail. Warsaw Rifle Company: William Baker (1st Lieut. ), Benjamin F. Chandler (2nd Lieut. ), Calvin Cole (3rd Lieut. ), Willard Gay (1st Sergeant), John Scott (2nd Sergeant), James H. Woods (3rd Sergeant), John Frazier (4th Sergeant), E. R. Clemens (1st Corporal), George Payton (2nd Corporal), Jeremiah Smith (3rd Corporal), Daniel Lindsby (4th Corporal), Mark Phelps (drummer), Nathan Bennett (fifer), Privates: William Clark, William Stevens, Michael Duane, Charles Gallaher, William Botts, J. L. Mussetter, Hugh Havens, Jotham Clark, Joseph Snars, William Houch, E. J. Stevens, W. A. Warner, William Gallaher, B. F. Bledsoe, James Jenkins, S. R. Davison, William Hasford, Charles Forbes, William Fultz, Curtis Lippincott, Reubin Andrews, S. W. Athey, B. F. Johnson, James Byers, Hiram Heatman, E. Hackshaw, Daniel Wiley, Isaac Stevens, Patrick O'Neal, Weston Johnston, Joshua Cole, Robert Shortly, P. M. Lockwood, John Knox, William Roberts, John Cochran, John Woodard, J. H. Messendaugh, John Kaufman, Wesley Denny, William Hendricks, Patrick Gallaher, J. M. Jarboe, Ephraim Warner, G. H. Johnston, Robert Ayres, Tillman Fry, John Peyton, William B. Taylor, Richard Mockbes, James Belton, Alvah Worden, S. H. Fuller, James Head, Robert C. Gordon. Note: We also have a listing of names of most of the men who were in the Carthage Greys militia unit, including the names of most of those who were guards at the jail on June 27, 1844. Another militia unit, the Carthage Riflemen, led by Wesley Williams, was also present. Sources of documentation: Muster rolls of the Companies of the Illinois Militia under the command of Colonel Levi Williams - from the Mormon Collection of the Chicago Historical Society. Note: The militia companies above represented a wide cross-section of the whole community, with religious affiliation in nearly all the churches. Thomas Gregg's History expresses his honest and fixed conclusion that the thirty or forty men who approached the Carthage jail that day, June 27, 1844, did not do so with the intent of murder. Circumstances on which his opinion was based include the fact that "there had been several recent demands made by Missouri for the delivery of Smith, which had all been some way thwarted"; and "only a short time before, a public meeting at Warsaw and another at Carthage had asked the Governor of Missouri to make another demand, and pledged aid to carry it into effect." "This purpose," Gregg says, "and this only, to take the prisoners and run them into Missouri, was as far as any purpose went, until they reached the door of the jail. There, instead of finding two unarmed and defenseless men, as they had reason to believe - for Taylor and Richards were there of their own accord - they were met at the door with four men armed with revolvers, able to make and who did make, a vigorous resistance - and the struggle ended in death." Sources of documentation: Thomas Gregg's History of Hancock County, 1880, p. 325. The same opinion regarding the intention of taking Joseph Smith to Missouri is also documented in writings of at least one Mormon (Edward Stevenson), in Cultures in Conflict (see page 195), by Dr. John Hallwas and Roger Launius. The same view is also expressed by Benjamin Brackenbury, another Mormon, in his testimony, as a witness in the trial, in May 1845. Down through history, there have been many notable "martyrs" who gave their lives for a noble cause. We simply raise the question, is a person who has a gun smuggled to himself in jail, and uses it against others, really a martyr? A Convention from Nine Counties Urges the Mormons to Leave Hancock County, Saying, "We utterly repudiate the impudent assertion, so often and so constantly put forth by the Mormons, that they are persecuted for righteousness' sake. We do not believe them to be a persecuted people. We KNOW that they are not; but that what ever grievances they may suffer are the necessary and legitimate consequences of their illegal, wicked, and dishonest acts." Tensions were still high in the months following the death of the Smiths in Carthage in June 1844. For a time, the open violence seemed to stop, but the lull in the storm was short-lived. Several Anti-Mormons were killed by the Mormons. In September 1845 Anti-Mormon Carthage Grey Jail Guard Franklin A. Worrell was killed in an ambush (an act of vengeance, according to the Mormons themselves) by a Mormon posse member (Orrin Rockwell), under orders from Jack-Mormon Sheriff J. B. Backenstos. Backenstos and Rockwell were both tried for murder, on change of venue, and both were acquitted. Backenstos raised a Mormon posse, and issued several proclamations against the Anti-Mormons; the Anti-Mormons fled to Missouri, and while they were gone, the Mormons plundered their homes. Backenstos wrote an accusatory letter to Colonel Levi Williams, demanding him to turn over all arms, which is published, together with Colonel Williams' very strong and dignified reply, in "Cultures in Conflict." The renewed burnings which resulted, in the Warsaw and Green Plains area, alarmed many people in the county, and in surrounding counties, and resulted in a convention at Quincy, of representatives from nine counties. This convention published the following statement: "Resolved that it is the settled and deliberate conviction of this convention, that it is now too late to attempt the settlement of the difficulties in Hancock County upon any other basis than that of the removal of the Mormons from the state; and we therefore accept, and respectfully recommend to the people of the surrounding counties to accept, the proposition made by the Mormons to remove from the State next spring, and to wait with patience the time for removal. Resolved, That we utterly repudiate the impudent assertion, so often and so constantly put forth by the Mormons, that they are persecuted for righteousness' sake. We do not believe them to be a persecuted people. We KNOW that they are not; but that what ever grievances they may suffer are the necessary and legitimate consequences of their illegal, wicked, and dishonest acts." The Mormon exodus began in earnest in February 1846, but actual warfare, between companies of the Illinois Militia from Brown county and elsewhere and the Mormons, occurred at Nauvoo before a treaty was finally signed and the last few thousand Mormons agreed to depart. Sources of documentation: Prophet of Palmyra, by Thomas Gregg, 1890. Cultures in Conflict by Dr. John Hallwas and Roger Launius, page 286, contains Colonel Levi Williams' reply to J. B. Backenstos: "J. B. Backenstos. - Sir: - I received a communication yesterday, thro' the hand of Mr. Calkins, addressed to me in the character of the "leader of the mob." I entertain no communication, neither will I make any reply in that character. Your communication bespeaks the character of its author, and meets from me that indignant contempt it so richly deserves. If you were worthy the notice of a gentleman, sir, I would meet you on any field, but as you occupy a station so far beneath the dignity of a man that I shall not condescend to have anything to do with you in any manner, shape or form. You can pursue what course with the "mob" that you please. I answer not for them, but rest assured that they are at all times ready for you. Levi Williams." Backenstos led a military occupation of Carthage, ransacking homes for arms, and drove the citizens of Warsaw from their homes into Missouri, their homes being plundered and horses and cattle taken for use by the Mormons in Nauvoo. As a result the Governor was compelled to send a force led by General J. J. Hardin to restore order to the county. Colonel Levi Williams was of hardy pioneer stock - his ancestry had served in the American Revolution. The Biographical Review of Hancock County, by Hobart Publishing Company, says Colonel Levi Williams was born in Madison County, Kentucky, in 1794. He moved to Grant County in 1820, settling two hundred acres along Eagle Creek just outside of Williamstown. He came to Walker township, with his wife, Mary "Polly" Reid Williams, and family, in about 1831 or 1832. He served as Constable, helped lay out roads, served as a juror, and was active in early county governmental affairs. Colonel Levi Williams had served as a soldier in the War of 1812, and after moving to Illinois he served as a ranger up and down the river during the Black Hawk War. He became a member of the Illinois Militia, and served with the rank of Colonel. His political allegiance was to the Whig Party, and he cast his last presidential vote for Abraham Lincoln. He settled on a 113-acre farm at Green Plains, six miles southeast of Warsaw, and built a cabin home, which sometimes served as a post office. 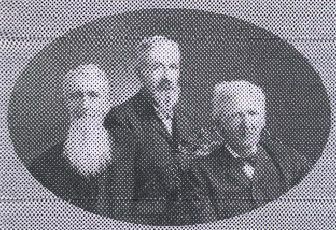 A photo of Colonel Levi Williams' three sons, Rice, Henry C., and John, has been provided by direct descendants. Hobart's Biographical Review also states that Colonel Levi Williams and his wife were people of the highest respectability. He died in 1860, and she died in 1872. They were laid to rest in the Green Plains Cemetery. Present-day Mormon writings, plays, performances, etc., on the other hand, portray Colonel Levi Williams as a malicious, profane villain, and attack his character in a most derogatory manner. The honorable people of Hancock County, who were honest, law-abiding citizens living here at the time the Mormons came, are also portrayed in a bad light. "Cultures in Conflict," a recent book by Dr. John Hallwas, gives much-needed documentary insight regarding the totally conflicting and contradictory viewpoints of the Mormons and Anti-Mormons in Hancock County of that day. That contradiction yet remains in the minds of many people, and will continue to, as long as the truth is remembered. The Minutes of Salem Regular Baptist Association make no mention of Colonel Levi Williams, until the year 1852. That year he was appointed to attend a meeting at North Fork Church in Monroe County, Missouri, the following year. In 1855, Levi Williams and Hiram Woodworth were chosen messengers from New Harmony Church, and Levi Williams was chosen to attend an association meeting in Missouri in June 1856. In 1857, Levi Williams was again chosen as one of the messengers from New Harmony Church. In 1858, Levi Williams was a messenger, and was appointed to serve on a committee. The records of Salem Association would indicate that he was a respected member for the last eight years of his life. Sources of documentation: Biographical Review of Hancock County, Illinois (Hobart Publishing Company); Cultures in Conflict by Dr. John Hallwas and Roger Launius; telephone interview with Susan Tolbert, direct descendant of Col. Levi Williams; Junius and Joseph, by Dr. Robert S. Wicks and Fred R. Foister; Manuscript records of Salem Regular Baptist Association, 1835-1860. Descendants of Colonel Levi Williams have provided records of his ancestry and their part in the American Revolution, as well as his own record of service in the War of 1812. Levi's grandfather, William Myrix Williams, married into a family of patriots and veterans of the Revolution; his wife's brothers served in the Revolution. Levi's maternal grandfather, Thomas Collins Jr., was a signer of the Albemarle Declaration of Indpendence (as was Thomas Jefferson), and served in the Revolution. Levi's maternal great-grandfather also served in the Revoltuion. Levi's father-in-law, John Reid Sr., signed the Albemarle Declaration of Independence, and also served in the Revolution. Many others in the family connection were patriots and served in the American Revolution. Levi Williams served in the War of 1812 as a private in the 2nd Regiment of Jenning's Kentucky Volunteers, and in Sylvanus Massie's Company of Infantry, from September 1812 to March 1813. He moved to Illinois to claim the land grants for his service. Colonel Levi Williams probably joined New Harmony Church prior to 1840, but the date is unknown to us. Some of his family had been members of the Viney Fork and Ten Mile Baptist Churches in Kentucky, and probably earlier in Albemarle County, Virginia. His name, though, does not appear in the minutes of Salem Association of Illinois until 1852. The records of Salem Association show four members being excluded from New Harmony Church between September 1844 and September 1845, but the names and cause are not shown. Two people were restored to membership in this church in 1852, but again, names are not given. From a peak of 60 members in 1843, the New Harmony Church membership dropped to 35 by 1847. Some of the church members apparently moved away because of the unbearable thievery and reprehensible behavior of the Mormons, in the vicinity of the church. Their livestock, tools, and other property were constantly being stolen. The "Mormon War" was literally waged, near, or even in the immediate vicinity, of New Harmony Church. After the conflict had ended, the church began to recover and grow, as the records show that between 1847 and 1852, about twenty new members were received by New Harmony Church. But in 1852/1853 trouble of some kind arose, and seventeen members were excluded (at least seven of whom were later restored again). In 1854 the church dismissed eleven members by letter, most of whom joined the newly organized Bethel Church, southeast of Basco. By 1865, through deaths and removals, New Harmony Church was reduced to eleven members; by 1869, there were only six members remaining. In 1870, the church was reported dissolved. The old historic church was now gone. Its members were honest, common laboring people, and as such, they have nearly (but not quite completely) been forgotten. But they played an important role in the settlement and history of Hancock County. Sources of documentation: Manuscript (and printed) records of Salem Regular Baptist Association, 1835-1870. Other reference materials used by the author include "Carthage Conspiracy" by D. H. Oaks and M. S. Hill; "Inside Today's Mormonism," by Richard Abanes; "History of Hancock County," by Charles J. Scofield, 1921; History of Adams County," by Henry Von Wackerbarth, 1879; Kingdom on the Mississippi Revisited, by Roger Launius and John E. Hallwas; "Prophet of Palmyra," by Thomas Gregg, 1890; "Nightfall at Nauvoo," by Samuel W. Taylor, 1971; Alexander William Doniphan: Portrait of a Missouri Moderate, by Roger Launius; Early Days in Missouri, by Judge Joseph Thorp; correspondence of Colonel Levi Williams, from the Chicago Historical Society; "Delusions: an Analysis of the Book of Mormon, With an Examination of its Internal and External Evidences, and a Refutation of its Pretences to Divine Authority," by Alexander Campbell, 1832; "Mormonism Unvailed, or a Faithful Account of that Singular Imposition and Delusion, etc." (the Golden Bible), by E. D. Howe, Painesville, Ohio, 1834; "Mormonism, One of the Delusions of Satan, Exposed, by a Friend of the Truth" (4 page tract by John Mason Peck), 1835; Mormonism Portrayed: Its Errors and Absurdities Exposed, and the Spirit and Design of its Authors Made Manifest, by William Harris, 1841 (incomplete); "Document Containing the Correspondence, Orders, etc., in Relation to the Disturbances with the Mormons, and the Evidence Given before the Hon. Austin A. King, Judge of the Fifth Judicial Circuit of the State of Missouri," published by order of the General Assembly, 1841; Brigham's Destroying Angel, Being the Life, Confession, and Startling Disclosures of the Notorious Bill Hickman, the Danite Chief of Utah, Written by Himself, with Explanatory Notes by J. H. Beadle, Esq., of Salt Lake City, 1872; Polygamy (Life in Utah): or the Mysteries and Crimes of Mormonism, by John H. Beadle, 1904; No Man Knows My History: The Life of Joseph Smith, by Fawn M. Brodie, 1945; The Mormon Conspiracy, by Charles L. Wood LLC; A file of clippings from the "Warsaw Signal," 1841-1844. Recent works: The Pontoosuc Independent Military Company, by Suzanne Miller, 2008, 141 pp. The ministry and membership of the Primitive Baptist Church in Hancock County did not endorse the violence in Carthage in June 1844. Individual members were allowed freedom of choice in civil or political matters. The churches believed they should grant others the same freedom of religious belief and practice as they desired for themselves. The citizens of Hancock County who sought to protect their own rights, in that day, are still being portrayed, by the Mormons, in their plays, pageants, movies, historic site guided tours, etc., as ruffians, mobsters, villains, ungodly thugs, and murderers. At the same time they portray their own people who killed Anti-Mormons as heroes: for example, Orrin Rockwell, who shot and killed Carthage Grey Jail Guard Franklin Worrell in cold blood, and was sent by Joseph Smith to assassinate former Governor Lilburn Boggs of Missouri. The old pioneer citizens of Hancock County were here before the Mormons came, and they refused to abandon all they had worked for, and leave their homes. Copyright c. 2007-2011. All rights reserved. The Primitive Baptist Library.